Thalanga. Image: Red River Resources. 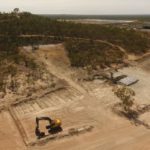 Red River Resources has delivered record operating performance during the December quarter at the Thalanga operations in Queensland. The company produced 96,000 tonnes of ore from the West 45 deposit over the three months. 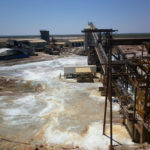 Its quarterly output included 7695 tonnes of zinc concentrate, 3007 tonnes of lead concentrate and 725 tonnes of copper concentrate – all three records for the company. Red River also continued to improve its copper recoveries at the operation, returning a 54.1 per cent recovery to copper concentrate for the quarter and 73.2 per cent recovery to copper concentrate in December. Mel Palancian, Red River managing director, looked ahead to continued improvements in the March quarter. 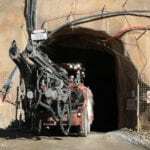 “It’s great to see the site team continue to improve production from both the mine and the processing plant,” Palancian said. Red River launched its production of copper, lead and zinc concentrates at Thalanga in September 2017. The operations include the West 45, Far West and Waterloo deposits. The company plans to start production from Far West in the first quarter of 2019. It expects Far West to extend production at Thalanga for at least the next five years as it continues an exploration program at the site.